Prior to starting work with All About People in 2016, I had spent three years working in Australia. 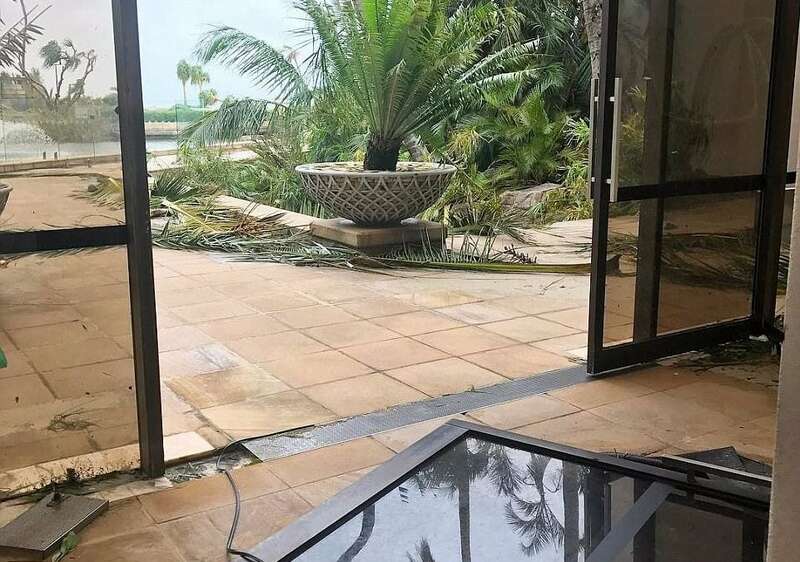 Most of that time was at Hayman Island, one of the Whitsunday Islands recently devastated by Cyclone Debbie, as the Fire, Life Safety and Security Supervisor. So, it is timely to consider the importance of emergency planning in your business and have that Business Continuity Plan in place. Hayman Island is a small private island that was developed by the Ansett company in the 1950’s and became one of Australias most iconic and awarded luxury destinations. Resort guests fly to Hamilton Island Airport, and are transported to Hayman on board private launches, helicopters or sea planes and once on the island enjoy a range of activities and amenities. Engineering based amenities including a powerstation, water desalination plant, wastewater treatment, swimming pool, upholstery, laundry and more. It all sounds idyllic. A tropical paradise in the Coral Sea at the edge of the Great Barrier Reef. So why was emergency planning such an important factor in my position description? If a Cyclone Watch is issued, the resort management team meet to discuss the implications for the island and what level of response is required. At this stage, there is often several days advanced warning, and sufficient time to put responses in place. While the buildings are all designed and constructed to withstand catastrophic winds, food and supplies need to be ordered in for use during and after the weather bomb. Preventative maintenance is undertaken to secure potentially loose equipment and vegetation. Communications with guests and staff are kept up to date, with some bookings and activities cancelled. 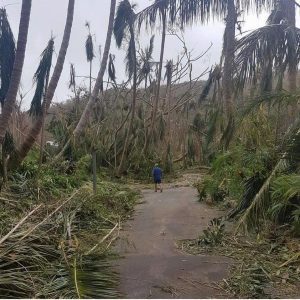 Ultimate care of all persons on the island is taken during the cyclone however, once over, one of the more trying aspects to recovery is deciding who is essential, and that is a process that is happening on Hayman at present. Because the business is not able to operate for many months, there is no work for those involved in guest services and thus, many staff are now redundant. It is hard for people to go through a significant disaster and then lose their jobs in the same few days. Some staff will be retained, and others relocated to other properties within the company. Sadly, most will be given notice (this possibility is included in their employment contracts). The financial implications of a cyclone go beyond the financial loss to the company – they also significantly affect the individual staff members. Business Continuity Plans are working, and the company is capably enacting strategies for managing the staff and property from here; the repairs to be made, reviews and improvements, reopening date considerations. Organisations are required to plan for reasonably foreseeable emergencies, and I wanted to share this example (albeit an extreme one) of why it is a critical element for any business or organisation to consider. I am sharing my experience at Hayman Island with you to help you plan for emergencies in your organization using the 4 R’s of Emergency Management. New Zealand have had earthquakes, floods and fires in recent times so it really is timely. See here for a summary of the 4 R’s of Emergency Management (Reduction, Readiness, Response and Recovery). I think Hayman Island has clearly demonstrated elements of these considerations. For more advice or assistance, get in touch because like us, Emergency Planning is All About People.